Whenever I make it, be it for my husband or for a party, it always turns out great. It takes such a short time to make it but the results are fabulous. 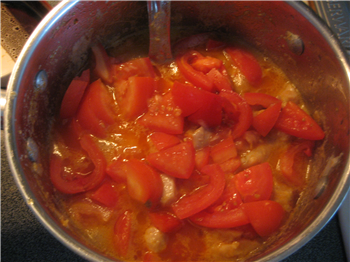 Full credit goes to my friend Kathija who shared this recipe with me. Heat 250 ml oil (Don’t reduce the quantity of oil because it gives taste to korma) in a vessel add clove, cinnamon and cardamom, and add onion fry till it becomes light brown. 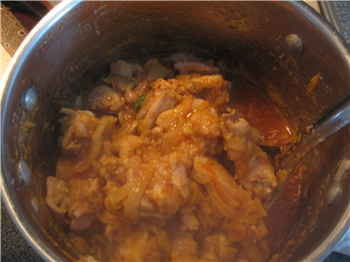 Now add garlic paste fry a little,add ginger paste fry that too and add the meat or chicken, and salt, saute well, so that it will mix with ginger and garlic paste. Add curd, red chili powder, green chili, turmeric mix well. 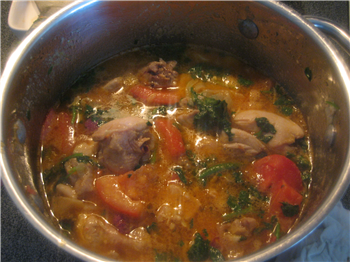 And then add tomatoes,mix it well with above mixture ,add butter or ghee and add half of the cilantro/coriander leaves. Allow it to cook till the meat is tender. 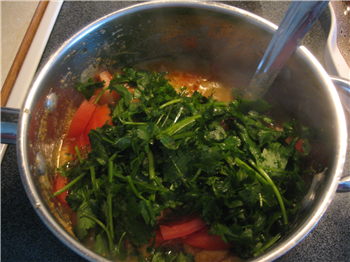 When it is done add the remaining cilantro. Cook the Korma in less than medium heat ,and make sure that it should not stick it in the bottom (strictly no water for this korma) don’t pressurize if you do so, taste might vary but work will be easy(Try not to pressure cook the korma). The consistency of korma should be gravy (thick) like. So the boiling time will take 30 minutes. 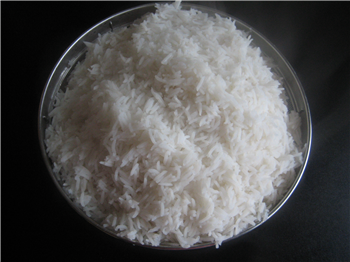 Take a big vessel so it should be easy to cook rice add more than 10 cups of water in it boil it in high heat. In the mean time wash and soak the rice for 20 minutes. 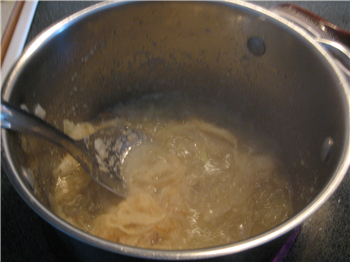 when the water has reached the boiling point add the rice, (at least 6 minutes in the boiling water). 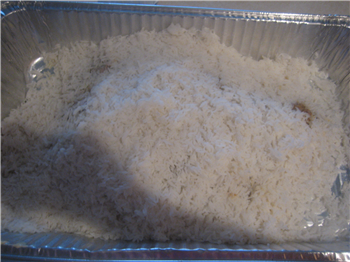 Check it with a single rice it should be done but it shouldn’t be fully cooked(the stage of rice is 3/4 cooked) at this time drain the water. 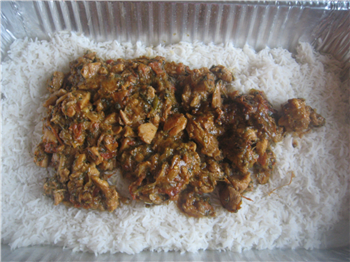 Take an aluminum tray or Glass tray or oven safe put the rice in a single layer, add korma on top of it and then rice again(make sure the rice should be on top, because if you put korma on top, it becomes very dry). Cover it with aluminum foil. Preheat the oven for 350’F . And put the tray in preheated oven for 30 minutes. 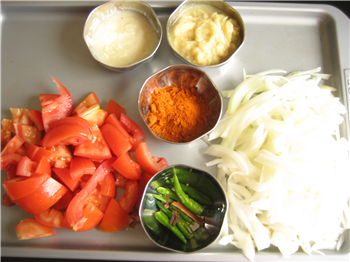 After half an hour take it out mix gently so that rice and korma will mix evenly,make sure the rice should not break. 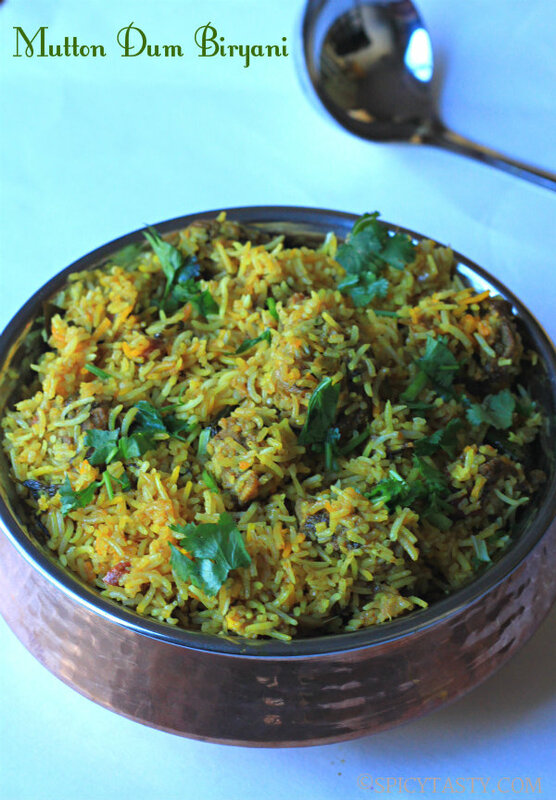 I love biryani but don’t know how to cook it so have to depend on hotels and dhabas. 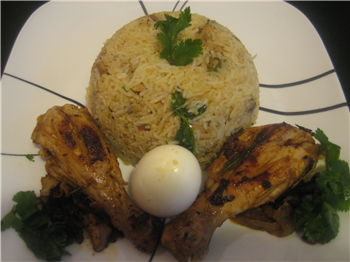 From the recipe of the biryani as shown above is not what I get here and it taste great. I agree that yours will taste good too. 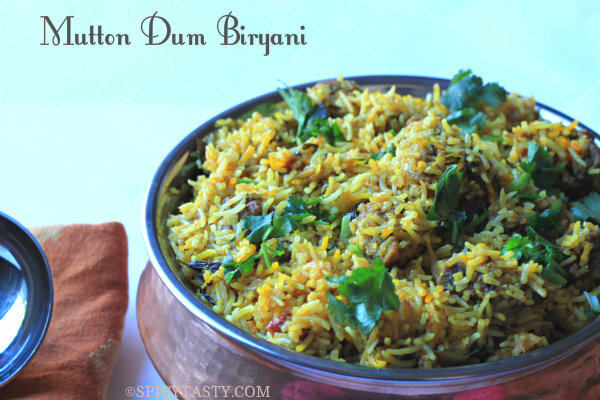 I wish i could get that biryani recipe which I get here in hotels. 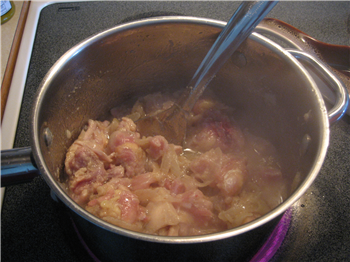 I have tried this recipe for more than two times, the taste and consistency is excellent. I wish that you if you could post more items on lamb meat. Anna, I am really glad that you tried it and came out good. It is a lovely recipe. I never get bored of this recipe. Thanks !!!! Hey Shriya, One quick question. 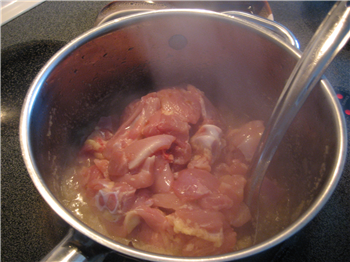 If i replace chicken to lamb wont it take longer to cook the meat. 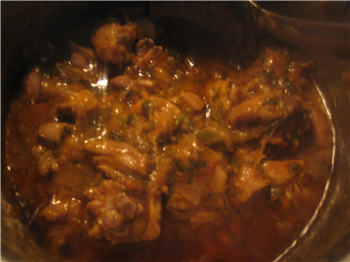 Since chicken does not take long to cook I would think that open cooking mutton wudnt be easy. Since I normally pressure cook lamb, can you suggest wat would be the alternative method to cook the meat easier. I noticed that there is no coriander powder included in this recipe. I always thought that coriander powder is a must for biryani. You don’t need it, is it? Thank you very much for sharing this recipe. I’m going to try it this week. You don’t need coriander powder for this recipe. Lemme know how it turned out. Thank u Nithya and Sherry. 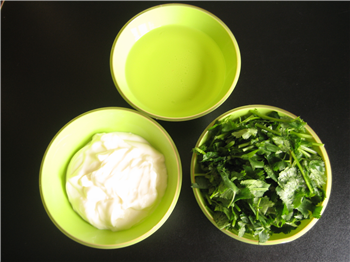 Shriya , how to do this receipe without using oven. because we dont have oven in our home. great recipe willl try that soon. thanx. How long do we need to preheat the oven? Shriya-another absolute hit from your recipe box! 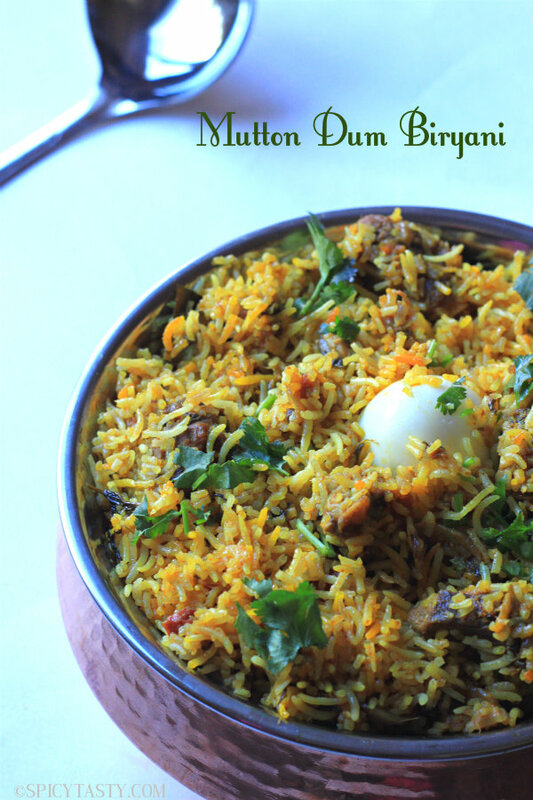 I have made good biryani but never great biryani which is what I was able to do with this recipe. My husband was licking his fingers! Thanks Lady.